We’ve all been there. You put your food in the communal office fridge, but when you go back to retrieve it at lunchtime it’s missing. Gone Girl-ed. Vanished. You paw through the contents of the fridge, certain that someone must have just moved it. But, no such luck. 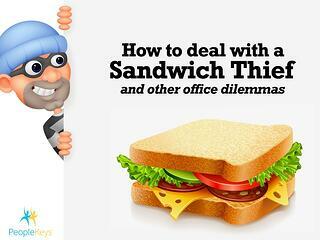 After a few minutes of searching, you face the ugly truth: Your food has been stolen by the office Sandwich Thief. There’s nothing more infuriating than dealing with The Office Sandwich Thief. (You really wanted that sandwich, darn it!) When faced with this situation, how would each of the DISC personality types respond? The S would also prefer to take a non-confrontational approach to dealing with a fridge bandit. 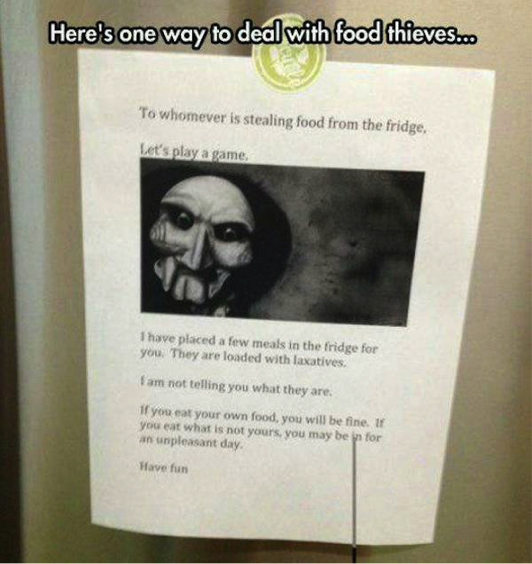 However, if they posted a note on the fridge for the thief it would take a much different tone than the one left by a C. Here’s another real-world example. Note the heavy reliance on GUILT and their heartbreaking appeal to SIMPLE HUMAN DECENCY. What’s the likelihood that someone with an S personality would actually be the one stealing from the office fridge? Slim. They’re not interested in sowing seeds of inter-office discord. Plus, if they took someone else’s lunch, the all-consuming guilt would compel them to confess immediately. A person with an I-style personality wouldn’t be quite as concerned by a sandwich thief. Sure, it might cause them a minor inconvenience, but no biggie. Easy come, easy go, right? Plus, if their food gets stolen, that gives them an excuse to go out to lunch. Maybe even bring someone along for the ride? If someone else at work was upset by having their lunch snatched, an I would likely find all of the drama and hubbub to be pretty darn amusing. An I might even take the opportunity to de-escalate the situation (or to shift the focus of the drama) by leaving a funny note behind. What’s the likelihood that someone with an I personality would actually be the one stealing from the office fridge? It’s definitely possible. But only because they really did mean to bring their own lunch, and got distracted and totally spaced it. Plus, they figured if they got caught they could always charm their way out of it. 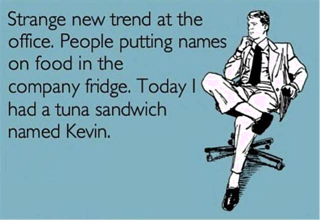 A person with a D-style personality would find all of the drama surrounding an office sandwich thief to be unnecessary, and an annoying, unwelcome distraction. If there was a sandwich thief at large in the office, the D would immediately take action. Real action, not just passive-aggressive note posting. People with D-style personalities are direct and not at all afraid of conflict. 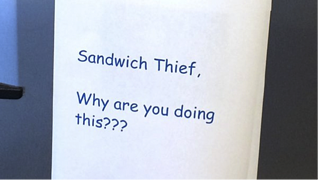 The idea of leaving a non-confrontational note wouldn’t be very appealing to a D. They would be much more likely to go right up to any potential suspects, look them right in the eye, and ask if they were the Sandwich Thief. And you’d better tell the truth, because they’ll definitely know it if you’re lying to them. 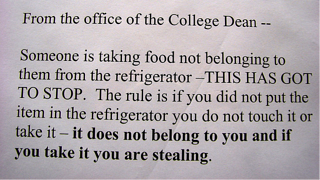 What’s the likelihood that a person with a D personality would actually be the one stealing from the office fridge? It’s a reasonable possibility. But only because it didn’t occur to them that someone might be upset by it. They only see the food, not the person that brought it. Plus, they’re hungry now, darn it! Who has time to go out for lunch when there’s all this work to be done? !